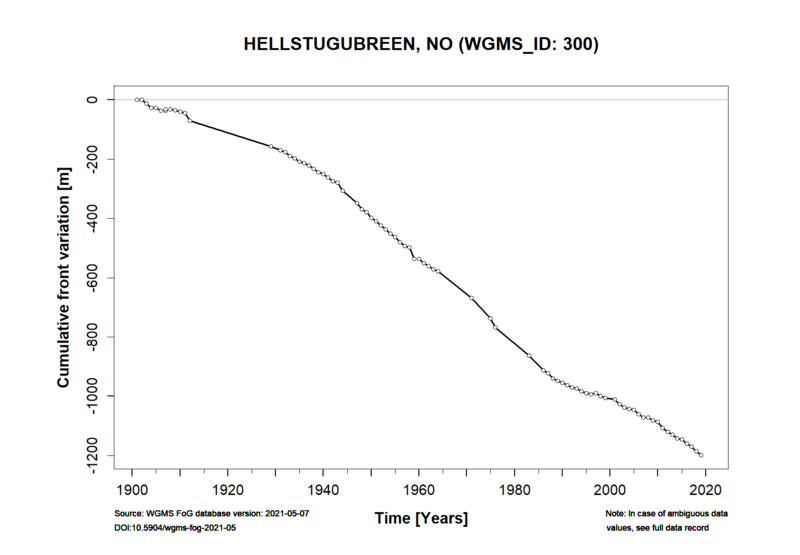 Hellstugubreen (now written with an –an ending on official maps: Hellstugubrean) is a north-facing valley glacier situated in central Jotunheimen, the highest mountain massif in mainland Norway. Hellstugubreen has an area of 2.9 km2 (2009). 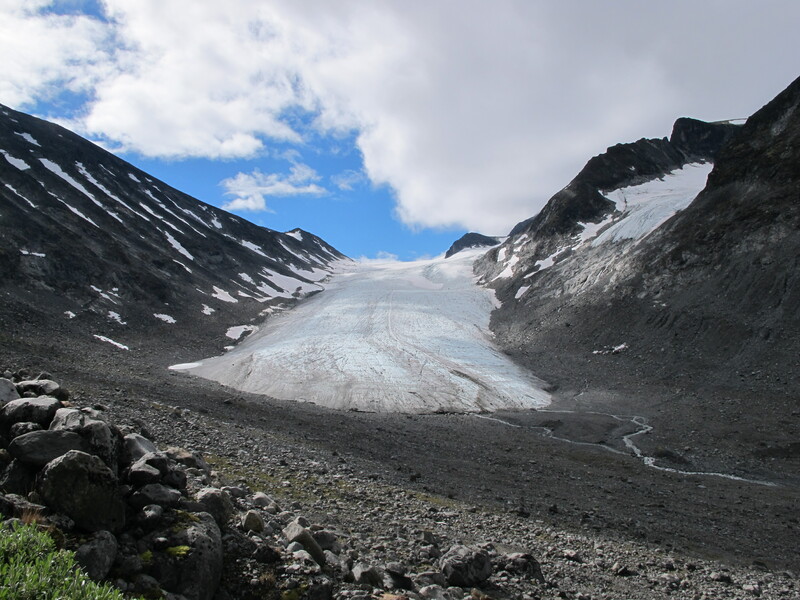 Hellstugubreen is considered a continental glacier, with a smaller mass balance turnover than glaciers situated further west. 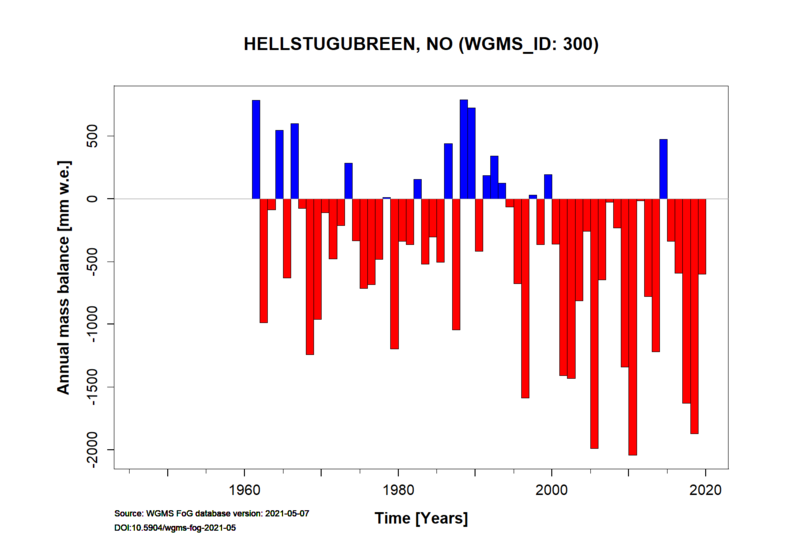 Annual mass balance measurements began in 1962. The glacier has been mapped repeatedly; the most recent survey made by airborne laserscanning in 2009. 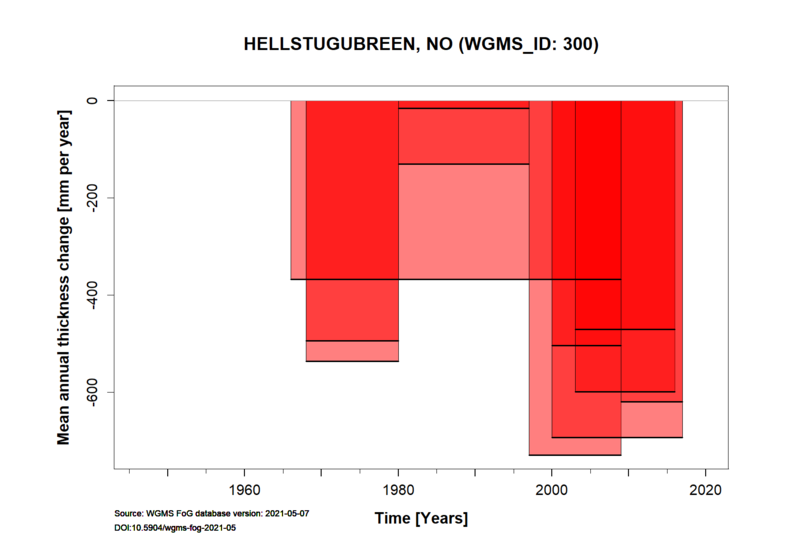 Further information and references for Hellstugubreen is given on NVE’s webpage. Height min: 1482 m a.s.l. Height max: 2229 m a.s.l.